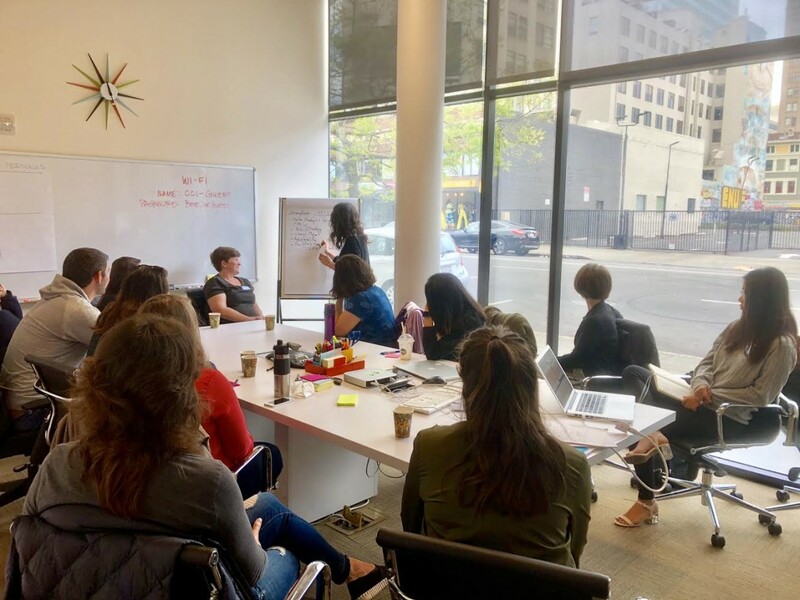 The San Francisco chapter leadership of the Service Design Network set out to strategically reshape our organization in order to better serve our community’s needs. 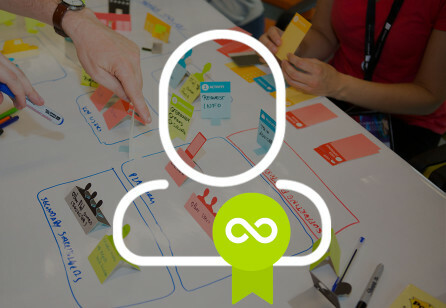 A recap of our co-creation workshop. "San Francisco, we have a problem." At the beginning of 2018, we—the leaders of the San Francisco chapter of the Service Design Network—recognized we had a problem: We had no clear idea of who we were engaging through our chapter, nor did we have a clear understanding of what our community really needed from us. We knew this was a problem because the actual participation in our events had been limited to a small fraction of the hundreds who had expressed interest through our social media channels and mailing list. Those who were participating seemed to be the same familiar faces time and again. Although we loved seeing our loyal followers at these events, we know there were many others out there whom we could be serving better. 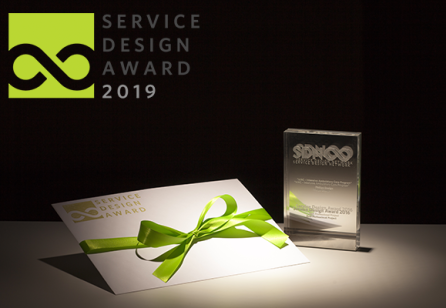 We concluded that only by understanding the needs, desires, expectations, and perceptions of the service designers, the SD-enthusiasts, and the SD-curious in our community could we begin to deliver on our promise with the kinds of programming that meet their needs. Developing a comprehensive understanding of the San Francisco chapter's potential audience is no small feat. Our access to useful membership data is surprisingly difficult (for a variety of reasons too lengthy to explain here). Furthermore, many of the Bay Area's active service design community members seem to have little understanding of the global SDN organization. We knew that we had to benchmark the "today state" by first answering these questions: What do we already know about our constituency, and what do we need to find out? After collecting all of the information we could from our surveys, events data, and mailing lists, we realized we could not answer those questions without the help of our community members. So we asked them for help. Who is our audience? Who should be but isn't? What do our constituents need and want? How might we deliver on those? How will we know if we've succeeded in doing so? What do we need to know, or do next? The event kicked off with an explanation of the problems we were trying to solve and with context on the history leading up to the current state-of-the-union of both our local chapter and the global SDN. The volunteers organized into four groups for round robin-style ideation sessions. The results of the workshop were very encouraging. It isn't surprising that we came away with more questions than answers; those questions are now guiding us on where to focus our energy next. We identified several draft personas that fall along a continuum of career maturity. While we know that our network has a fairly even distribution of these personas through our various engagement channels, the most active and engaged members tend to be the beginner-to-mid-level personas. This distribution was true for the participants of this workshop; therefore, it's important to note that the these findings skew toward the needs of personas. Collecting and maintaining data remains a sore spot. The group concluded that we needed to establish ongoing data collection and analysis methods. The ideas with the most votes included creating standardized and automated post-event surveys, conducting community research through interviews to understand why some people are not engaging or becoming members, and becoming better at reaching our potential audiences. We hope that investing in qualitative research and ongoing analysis will help us understand why engagement with our chapter is lacking among people in mid-to-advanced career stages. We also concluded that identifying specific metrics was important to gauge success as we move forward. Measuring an increase in memberships, satisfaction scores in surveys, number of visitors per event, repeat attendees, increased engagement on social media channels, and engagement rates on email communications are all meaningful signals for us to track. The workshop participants revealed a variety of motivations driving their engagement with our chapter. Among the prime motivators for the workshop participants were a feeling of belonging by being a part of a community of practitioners, gaining credibility in the professional arena, recognition and accolades for their achievements, and easier access to service design assets and the network of community members. We need to adhere to a mission that resonates with our community and find ways to measure our success in terms of what they care about: that they're perceived as experts in their field, that the SDN is recognized as a service design talent pipeline, and that there is greater recognition of the global SDN brand along with service design as a profession in the Bay Area. One key insight for us was that In order to increase engagement we need to develop SDN's brand equity—especially here in the U.S. and particularly in the San Francisco Bay Area. To do that, we need to figure out how to provide the substantially high-value programs and offerings that our community expects from SDN while keeping in mind that we are resource-constrained. The minimal financial resources we have, for example, consist of the marginal and highly variable profit we generate from the events we organize. And because we are an entirely volunteer-run organization with leadership team members who are in the prime of their service design careers, we are also severely time constrained. On the bright side, another key insight about growth was that we won't need to reinvent the wheel. Communication channels are established already; we just need to systematize their use and ensure we're delivering regular, high-powered content and opportunities. Changing up the way we do events either by location or event purpose could help to draw a more diverse crowd. 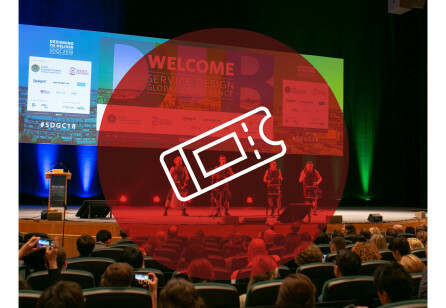 We can also increase outreach by better promoting the SDN brand and events through partnerships with other related, well-known organizations in the area and by building partnerships with companies that want to tap into the service design community. After synthesizing the findings from the workshop, our challenge now is to "rebuild the plane while it’s in the air" so to speak. This means we'll need to continue to serve the active, engaged community while taking the necessary steps to collect data and actionable information on our potential members, understand their needs, and build the capacity to deliver in ways that will appeal to them using only our limited resources. We have started to put together a two-year plan with an eye on both the short- and long-term goals of our network. We're doing the hard, manual labor of analyzing our community's many profiles throughout our various channels, and we're preparing to conduct one-on-one interviews. We're experimenting with standardizing our surveys in order to elicit more data that we can act on going forward. We're becoming more strategic about achieving these goals by creating clear roles and responsibilities on the leadership team and maximizing the use of our volunteers' limited time. Using what we learned from the co-creation workshop, we've been able to put a stake in the ground while recognizing that there's a long road ahead to becoming the valuable organization we aspire to be. As a leadership team, we look forward to updating everyone on our progress in the coming months. 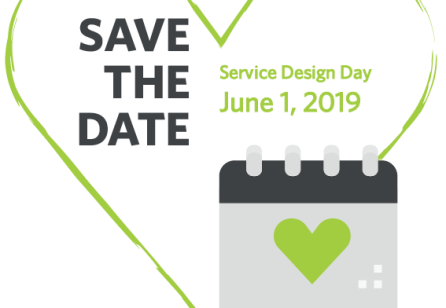 Thanks to the volunteers in our service design community that participated in this event: Vinita Israni, Megan Tremelling, Heather Jin, Elijah Martin, Laura Mattis, Leah Tremblay-Adams, Mark Byrne, Andrea Luxenberg, Yael Schwartz, Amanda Damewood, and Kaitlin Vavoso. And, an additional thanks to our fellow chapter leaders for helping make this event possible, and co-authoring this post: Andrea Fineman, Gassia Salibian and Laura Blumenthal. Please direct any questions regarding this initiative to the San Francisco chapter leaders at sanfrancisco@service-design-network.org. Kelly Griggs is a design lead at Bill.com in the San Francisco Bay Area.